Working with our manufacturing partners, we can fully design your fire alarm systems, provide CAD drawings, install and maintain to meet with the requirements of your particular building and its use. APCO can provide protection for your premises against both fire and intruders by installing fully integrated security systems and solutions such as CCTV, access control and fire and intruder alarms. We use a select number of partners with whom we have worked for many years, combining our design capability and building knowledge to produce accurate drawings for your installation. 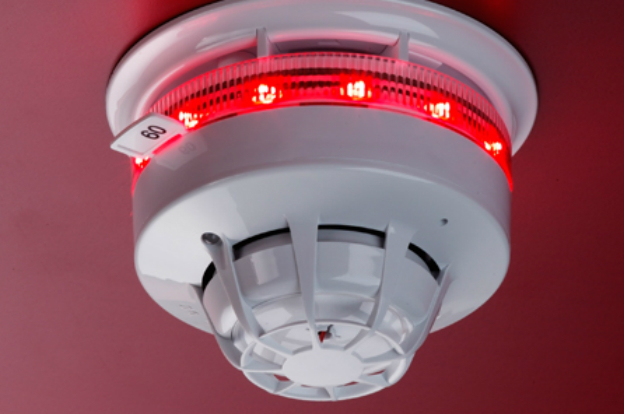 Fire alarms are an essential part of any commercial building to ensure safety of those working there and prevent what can be devastating damage to the building itself. Security alarm systems such as a basic bell-only or a more integrated police monitored system protect the premises when empty and will effectively deter intruders and notify police to attend the site. At APCO, we supply and install only the most up to date alarm systems and our highly qualified and experienced team ensures that all work is compliant with current regulations and completed to the highest standards. We can provide you with a fully bespoke solution to suit your needs, with technical and out of hours support being provided by our partner. We also provide full maintenance backup and servicing of all alarm systems installed by our team.